These words from C.S. Lewis resonated with me this morning. He has such a way with words, and communicates so much depth about the world and Christianity. As father of four, from 15 years to 10 months, I am very aware of the work of a parent. Probably not as much as my wife, who stays home and home schools them. It is amazing that God has enabled men and women to bring new life into being, and to mold and teach children everything from love and morality to abuse and neglect. It is very interesting that most animals are born and can run or fly within hours to days, but for humans it is years. When children finally assert themselves and take control of their life, what are they really taking control of? They have a physical body and beliefs and experiences gifted them from their parents and so many others. What they mean is they want to take control of their free will. But they are controlling a life received from someone else. Everyone is in the same boat. “As long as the natural life is in your body, it will do a lot towards repairing that body. Cut it, and up to a point it will heal, as a dead body would not. A live body is not one that never gets hurt, but one that can to some extent repair itself. In the same way a Christian is not a man who never goes wrong, but a man who is enabled to repent and pick himself up and begin over again after each stumble—because the Christ-life is inside him, repairing him all the time, enabling him to repeat (in some degree) the kind of voluntary death which Christ Himself carried out. I think God allows (forces?) us to be parents for years so that we understand these concepts. Men and women commit one act of pleasure and a baby can be conceived, a being so beyond our ability to design. The child is forced to rely on us for so long for food and teaching. We understand how very much they owe us for life. As children of God, do I (we) have this attitude? Or is ours more of us exercising our free will, living “our life”? I have to say I was very convicted this morning by these thoughts. This entry was posted in Meditations and tagged C.S. Lewis, free will, Mere Christianity. She follows a will o’ the wisp trail for what seems miles. 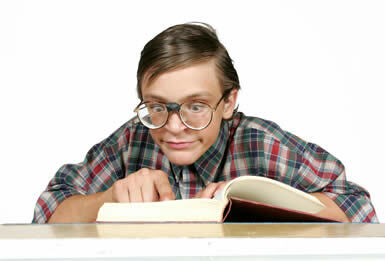 Ok, now when I was a kid, rolling dice and playing Dungeons & Dragons ( Nerd Alert! ), I would NEVER have followed a will o’ wisp. You are just asking for a Hobgoblin ambush or something, just sayin’. Legend has it, these lights lured travelers from safe paths. We, the audience, also know there is a huge terrible bear on the loose somewhere. When I saw her do this, I was alarmed! She finds a witch who will give her a spell to change her fate. Ok, a witch. She knows nothing about this woman and doesn’t think to ask. She brings the cake back and actually gives it to her mother to eat. Oh yeah, did I mention, Merida knows nothing about its effects. There is an ignorance streaming right through the life of Merida that is simply terrifying and a parent’s worst nightmare. It is as C.S. Lewis stated above—she set her free will up as what she had to have at all costs, and it made her so incredibly foolish. She did not consider the consequences for her actions, and the movie explores her attempt to make them right. I hope and pray that those young people who are coming into their self-awareness will see and learn from this lesson. The movie shows the typical fight between parent and child, where the parent tries to fit the kid into their mold. I am not advocating that, but jeez, these kids accepted so little responsibility! The good part of the royal marriage is just that—they are married! And they love each other! The dysfunction, however, lies with squarely on the huge shoulders of King Fergus. Although very funny, he is a completely useless adolescent man (all the men were depicted this way, really) that left the real leadership to his wife. [Pet Peeve: It is annoying and offensive to think of men during that time period as so goofy (I’m thinking of William Wallace, Rob Roy, etc), but this is a kids movie and so I let it go.] This dysfunction, however, strains the parenting and leaves all the hard work to the mother. Sadly, this does reflect our society. Men, we need to step up and lead our families! The other instance of free will I saw in this movie was the use of bears. Once transformed into a bear, Merida’s mother started to become the bear and take on the animal nature. There was a moment when Elinor turned and attacked Merida. We see her come to her senses, her alarm and shame, and we sense the peril her mother is in. This transition is key in understanding the pantheistic worldview underlying this movie. The villain of the movie, the huge vicious bear that took the leg of Fergus, is none other than the Mor’du. Mor’du was not always a bear; he was a human prince, who wanted to take over the kingdom he shared with his three brothers, and went to the witch to gain “the strength of ten men”, paying with the ring of his house, which bears two crossed axes. The spell he received eventually transformed him into a bear, soon leading to the fall of the kingdom, as on the dawn of the second day, the spell became permanent and the bear side of him overtook his humanity, making him a monstrous beast. In the end Mor’du is crushed and killed, and we see his human spirit rise up out of the carcass. He looks intently at Merida, nods, and then dissipates to become a will o’ wisp. At this point, I was tempted to think that this was a positive thing. Poor guy, made a huge life changing mistake, and he got released. Happy ending for him. I do wonder about the countless unhappy endings of those that lived and died when destroyed the kingdom. And I do wonder if this movie is telling me Mor’du is not responsible, after all, the animal “overtook his humanity.” An animal, of course, has no free will…therefore, Mor’du is not accountable for the crimes he has committed. I thought I would be clever and call it Extinguished Free Will, and it raises a lot of questions. If Neo-Darwinian evolution is true, aren’t we all just higher animals? If that is the case, what are we really to be held accountable for? Aren’t we lucky if we manage to do a little bit of good? Does Hitler or Stalin just rise up out of their graves, give a nice little nod and go on into the universe? Is there no ultimate justice? Perhaps it is comforting to think that after all the bad we do, we still get to go surf the universe? 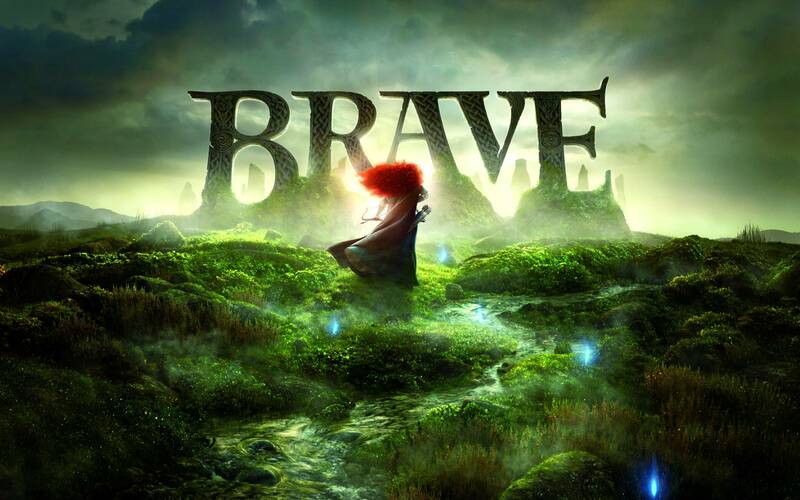 This entry was posted in Culture and tagged Brave the Movie, C.S. Lewis, free will, will o the wisp. One conversation was with a family with kids and we were talking about teaching babies, and really children in general. The mother was saying she squeezes her baby boy’s hand when he goes to touch something she doesn’t want him to touch. When the baby later goes to touch the same object, he first looks to his mother. He does this, in fact, for other objects he goes to touch. He turns and looks. I am sure if you have kids, you have seen this. ‘Is mommy looking, is she going to do anything if I do this…’ They wait and they watch. It just struck me at how early babies can conceive of what is approved of and what isn’t, and how early they can start to make actual moral choices. I had a mental image suddenly of the child growing up, a speedy time-lapse fast forward movie where year after year a child makes thousands of choices both for and against the will of parents and society, and that under the child-now-adult, all these choices accumulate like pennies filling a jar. They cease to be choices, closing and becoming sort of automatic non-choices. They become biases, or conclusions. Ruts. In another conversation, I was talking with a friend about nutrition and he was really passionate about the foods we put in our bodies and about all the chemicals and preservatives. For him, he had good reasons. He has struggled with pain in his GI tract and leaky gut syndrome, and he has had to modify his diet in order to just be and feel healthy. He said he grew up on a farm and always ate well there. It wasn’t until he got out on his own that he started to open up to eating other processed “tasty” foods. In the Navy, he was going on sick call every three months or so with severe abdominal pains. He noticed the pattern and asked the doctor about it. During the conversation, the doctor either mentioned or asked him about what he was eating. My friend said it was like getting slapped in the face. It was so clear to him that what he was eating was causing his symptoms. He also said he noticed the same sort of effects on his body after long runs on the submarine, when the fresh foods were gone and the least nutrition foods were served. Again, I was struck by the free will we can either make or ignore. I have had an upper level collegiate nutrition class and I know preservatives are extremely bad for you. It is simple—the preservatives keep bacteria from growing in the food, and after you ingest it, it keeps bacteria (the good kind we all have) from growing in our gut. I don’t think about that when I put my dollar in a machine for some tasty poptarts. Or should I qualify that: do I listen to my gut or my energy level (or lack of)? Do consider all aspects of the food and it’s quality? I have been at times extremely fit, but life has gotten so busy that healthy choices just don’t appear on my radar as much. Or, put another way, it may appear I am making a choice (hmm hungry, walk to machine, count money, ching ching ching, munch munch munch), but is there any free will in that choice? Is it any different from the choices animals make (turn this way or that, sniff sniff sniff, go that way, run, catch prey, munch munch munch). Would these be non-free will choices? Or simply our ruts? On the way out of my neighborhood on mornings, I wave at neighbors. Most are friendly, but some aren’t. I wave anyway and most of the time, I get stared back at. I do wonder why the coolness. I wonder if is a conscious choice, or is simply this accumulated automation. Does he (or she) actually choose to not be friendly? It occurred to me that as a Christian, loving no matter the response, maybe especially because of a negative response, may serve to re-engage a free will choice in the other person. If someone is just a sour-puss and yet I am friendly, at some point he has to become self-conscious and realize, “Wow, I’m a sour-puss.” At that point, he can then decide again to continue or start to look at himself, evaluate his behavior, think about life, right and wrong, etc. If there is no hope, why change? Perhaps that is why God demands persistence on our part as Christians to continue to love no matter the circumstances or persecution. Perhaps it is this that roots out and pulls to the surface again a buried aggregate of bad choices, long-buried, that can changed to a different direction. To love our enemies forces our opponent’s free will back to the surface of consciousness. This entry was posted in Meditations and tagged choices, free will, the biggest loser.